ALVI – India (http://www.alviautomation.com) in association with Gas Alarm Systems – Australia (http://www.gasalarm.co.au) take pride to offer Tank Level Sensors for Fire Trucks. A fire engine or a fire truck is primarily used for firefighting operations. Prior to entering the fire affected area, the fire truck should always be prepared with sufficient water level, pump engine fuel and vehicle fuel. Hence monitoring and keeping a track of water as well as fuel level is of utmost importance. Alvi Technologies presents Tank level sensor NC56 along with digital level indicator EA14 that determines and indicates how much fuel or water is left in the tank; keeping the fire truck water and fuel ready for any emergency situation. 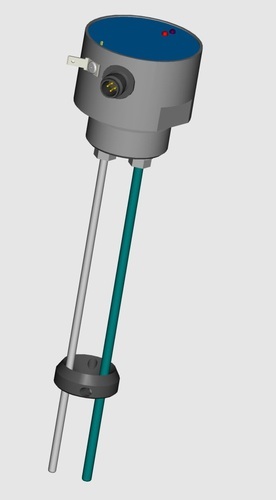 The NC56 capacitive tank level sensor is installed vertically downward at the top of the vessel in which liquid level is to be measured. The sensor gives out a linear 4….20mA signal directly proportional to the level. Once the level is known, communicating and conveying the level information is the next critical step. This can be achieved by connecting tank level sensor to EA14 monitor. The EA14 converts and displays it into a volume (litres). Some places require monitoring of many vehicles at the same time. For such applications we can provide an indicator that can take up to four the tank level sensors simultaneously. Please e-mail us for further information. In addition to monitoring the liquid level in fire trucks, these tank level sensors can be adapted to various other applications. Please contact us for further information. Next Next post: Differential Pressure Transmitter DE13 improves process efficiency by filter monitoring!